TCL is finally done with its first true BlackBerry handset and we have to say, it looks even better than when we first saw it. Now, that is a statement that needs some explanation, if we ever saw one. You see, back at CES 2017, TCL showcased the BlackBerry Mercury - a device that was in the works as the first BB to come from the company as an official hardware manufacturer for the brand. As promised, it is now two months or so later, and the Mercury is finally here, only its DTEK70 and Mercury monikers have been replaced with KEYone. 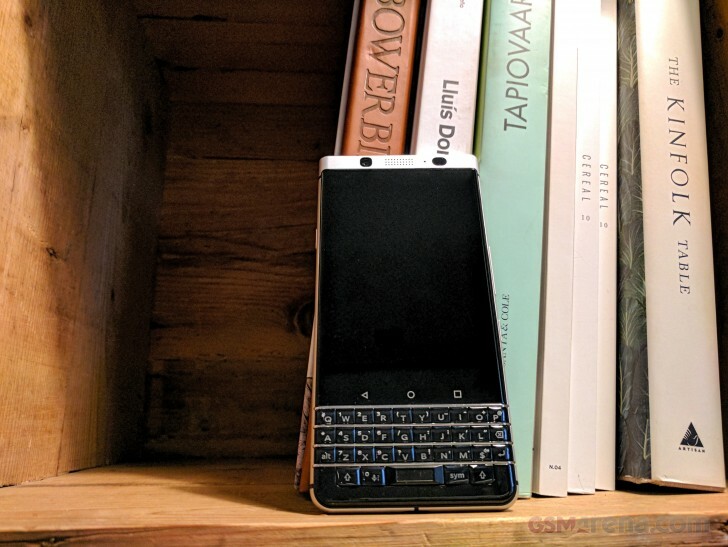 The device marks a veritable milestone in the history on the legendary Canadian brand, as it charts out a clear return to core BlackBerry roots and market principles. This comes as a real breath of fresh air to all BB fans, after the somewhat disappointing DTEK50 and DTEK60 set a brief and rather bleak tone of re-branding Alcatel units. The KEYone is a proper BlackBerry if we ever saw one, but this is not the first time we get to spend some time with the unit and reminisce about its meaning for the brand future. Back at CES 2017, we did get some hands-on time with the then Mercury and shared our enthusiastic first impressions. However, now the smoke has cleared, and we can finally revisit the KEYone in all its BB glory, armed with an official specs sheet and all the other details that were omitted at the Las Vegas venue. Sadly, certain rumors of a powerful Snapdragon 821 heart didn't become a reality. But even armed with its power-efficient, 14nm Snapdragon 625, the BlackBerry KEYone still has a lot to impress with and stands out in a sea of bland Android offers. It could be the traditional keyboard and touchscreen setup or longstanding emphasis on security and business pedigree, but we are simply sure that the KEYone will manage to charm quite a few people. Still, a price tag of EUR 599 is a bit hard to swallow, and the KEYone better find a few good ways to impress for that kind of cash. 'Cause they are addictive. What about this phone?